Can Emma Gonzalez give us a Hollywood ending? Emma Gonzalez spoke at Washington, D.C.’s March for Our Lives on March 24. Where is Frank Capra now that we really need him? If the director of “Mr. Smith Goes to Washington,” “It’s a Wonderful Life,” “Meet John Doe,” and other high-water marks of that hopeful Hollywood sub-genre called Capra-corn were around today, you know he’d already be working on a script set in and around the aftermath of the shootings in Parkland, Fla. And we’d all be waiting to see how it ended. Last year around this time, I wrote a column pining for a new Mr. Smith to go to Washington and remind us what simple, honest decency looks like. I never expected Mr. Smith to be Ms. Gonzalez. Emma Gonzalez, 18, is the most prominent of the survivors of the Feb. 14 massacre at Marjory Stoneman Douglas High School. Like her schoolmate-survivorsDavid Hogg, Cameron Kasky, Alex Wind, Jaclyn Corin, and Sarah Chadwick, she has become a vocal activist for common-sense gun-control legislation and a figurehead for a newly galvanized political youth movement. But Gonzalez has something extra: the charisma of a natural star. That she doesn’t seem to care about such things only makes her seem more appealing. With her close-cropped hair, steely gaze, air of sorrowful fury, and knack for the theatrical gesture, Gonzalez has captured the national imagination in a way few people her age have ever done. 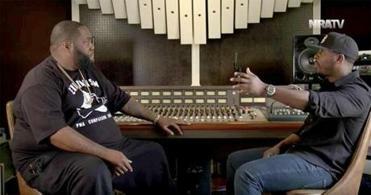 A video featuring Killer Mike is the most striking example of a concerted effort during the last week to use race as a dividing line in the debate over gun control. In the immediate aftermath of the shooting, Gonzalez became a social media lightning rod with her cry of “We call BS” against the National Rifle Association and recalcitrant D.C. lawmakers. At the March for Our Lives this past weekend, she again commandeered the stage and held about half a million people mostly silent to represent how long it took Nikolas Cruz to kill 17 of her classmates and instructors. All these students are leaders to humble their elders, but Gonzalez is their face, even if she’d throw it all away to have her friends back. The media loves Emma Gonzalez, as witness a burbling New Yorker piece that likened her in sartorial style and rebellious substance to Joan of Arc — as witness this article itself — but for now, she and her friends are using it and us to further their own ends. Which is as it should be. When you have something important to say and someone hands you a megaphone, you’d be a fool to pass it up. The struggle right now is over the larger narrative of what Emma Gonzalez and the Parkland kids mean. To those for whom the Second Amendment is gospel, they’re seen as a threat and so must be revealed as fakes, frauds, paid actors rather than grieving kids. Teen Vogue staged and circulated a video of the Parkland activists tearing up a paper shooting-range target; an online troll altered it to look like they were shredding a copy of the Constitution. Gonzalez has been called a “skinhead lesbian” by a legislative candidate in Maine; all of the students are regular recipients of death threats and cooked-up Internet conspiracy theories. Whatever they’re doing, it’s making some people nervous. To a majority of Americans, though, they’re young adults who’ve survived (and are still surviving) trauma and are speaking out in an effort to keep that trauma from being visited upon others. They have the passion and conviction of their age, and an anger and articulation beyond their years. And they keep me thinking about Jimmy Stewart. 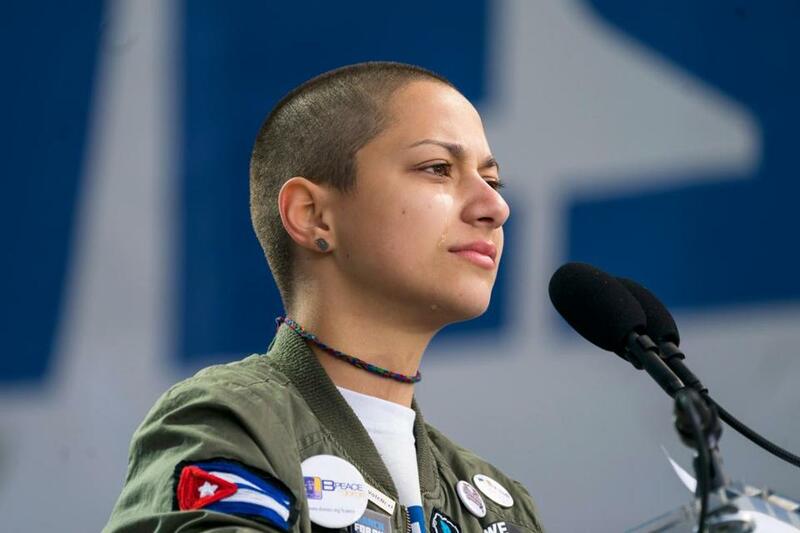 And when all looks lost — when the digitally altered video of Gonzalez taking an AR-15 to a kitten is all over Fox News and even her Parkland friends have deserted her — give Emma the big filibuster scene, the one where she talks through the day and the night until her voice becomes hoarse but she never flags, she keeps calling BS, until the silver fox has a change of heart and confesses all before the collected viral eyes of America. That’s how it goes in the movies, right? And that’s how we like to think things should go in life because we’ve been so well trained by a century of two-hour narratives with a moral and a happy ending frosted on top. Well. They called it Capra-corn for a reason, which is that you’d have to be naive to believe it worked that way. Every now and then it does, though, and every now and then our children believe the stories we’ve told them so well that they shame us into making them true. That could still happen. It could also happen that Gonzalez and her peers will make some mistakes, will say things in their zeal that they shouldn’t, will give their enemies ammunition while alienating the fair-weather followers. Will screw up a little or a lot, as humans do, or simply fall victim to the attention and adulation they’re getting. Although I imagine having seen 17 of your friends murdered would tend to keep a person on track. For now, the Parkland kids look like this country’s best hope for itself — a stiff shot of can-do idealism in a beaten-down age — and the most astonishing part is that they’re writing their own script as they go along. They know how they want this movie to end. Now all they have to do is get us there.